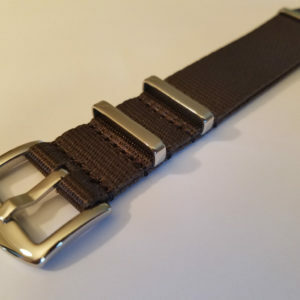 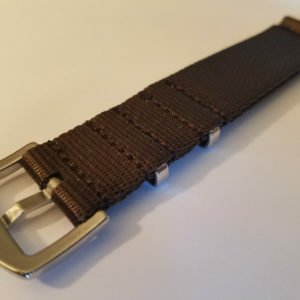 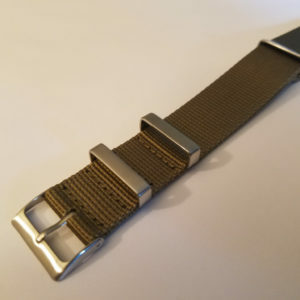 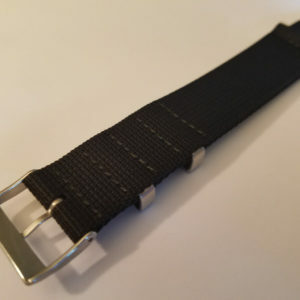 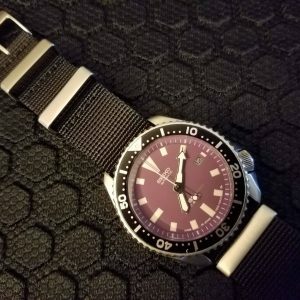 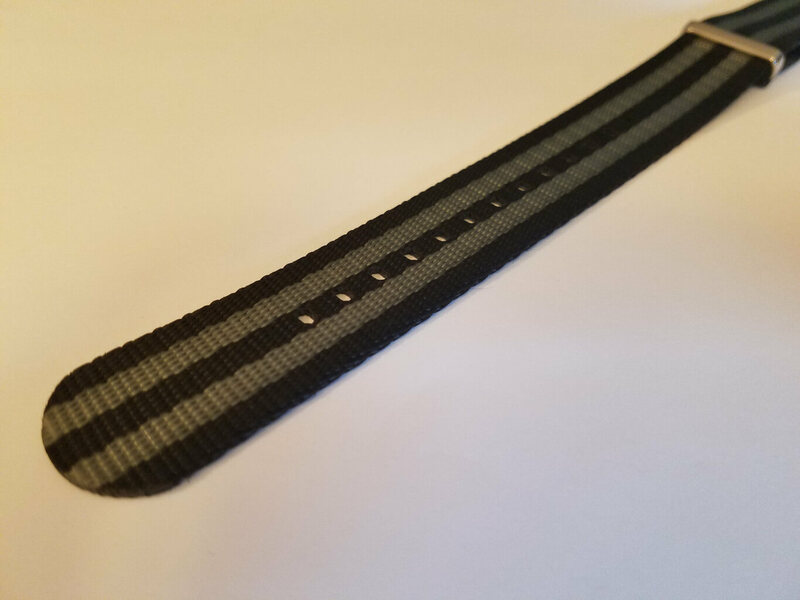 The Ocean Dog Black and Gray (Bond) Seat Belt Watch Strap is a high-end luxury nylon strap. 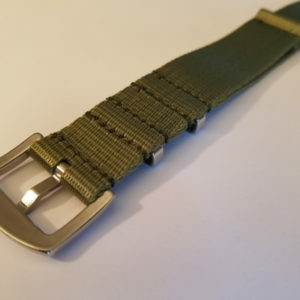 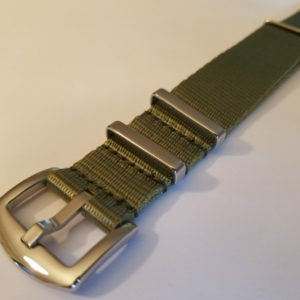 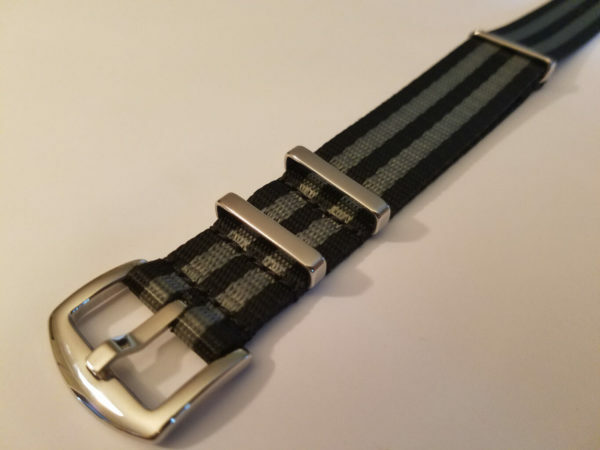 The “Heavy Duty” Seat Belt is crafted from high tensile strength nylon webbing with deluxe hardware, including a premium seatbelt style stainless steel buckle and flat stainless steel keepers. 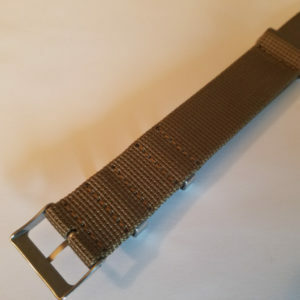 The nylon is weaved to provide a softer feel with a higher sheen than standard nylon straps. 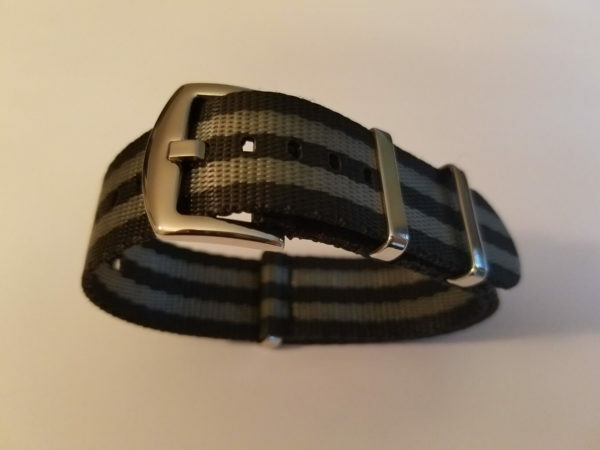 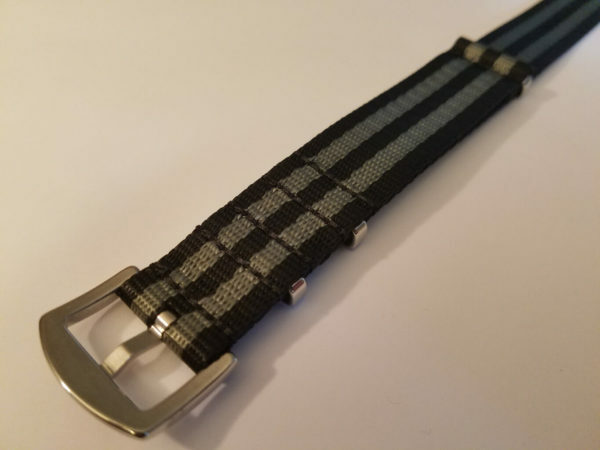 The Black and Gray Ocean Dog is superior to standard nylon straps.